The Jewish festival of Shavuot falls out on the sixth day of the Hebrew month of Sivan, usually in late May or early June. It is the festival on which we celebrate the giving of the Torah by G-d to the Jewish people on Mount Sinai in the desert. Why, of all places, did G-d choose to give over His Torah in the desert? Well, to start with, perhaps a look at a saying of the Rabbis in Eruvin will provide some light on the matter; “a person should make himself into a desert”. This is explained as meaning that just as the desert is ownerless, a place that everyone treads on, so too one must make oneself humble, empty of pride and open to sharing his Torah knowledge. The human being must make himself a vessel that is available to hold Torah. Additionally, in ancient times, deserts were not territorial properties of any nations. Thank-G-d the Jewish people has merited in our times to see the revival of the land of Israel and together with this the revival of Torah upheld in Israel. It must never be forgotten however that for centuries it was the Torah that upheld the Jewish people, when they were scattered across the face of the globe. The traditions, values and commandments were what held us together, even when performed outside of the Jewish land. The Torah is beyond time and space. 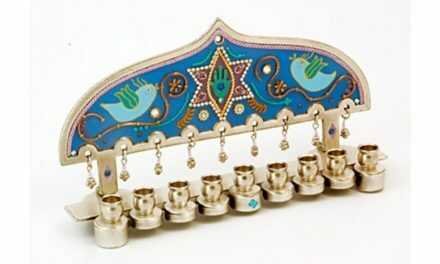 It carries the Jewish people wherever they may be at all times. In Israel of today, sixty percent of the land is desert land and a mere ten percent of the population lives there. This is not by chance. The desert is challenging place to settle, it is hard to build there and it is hard to tempt people to leave civilization as they know it in order to settle the sandy dunes. The desert, in relation to the rest of Israel, is relatively unsettled, uncontrolled. G-d gave the Torah in the desert because he wanted it to be given in a place that had no owners, no social or political context. He wanted it to be a union of the Jewish people and his Torah. Period. After we received the Torah, we travelled on to Israel. Once G-d felt that His message had been internalized- the Torah belongs to no specific time period or context and is equally mine as it is yours- we could travel out into the world and bring His lofty Torah down into all the time periods, contexts and places that we live in. We should merit to succeed in realizing the message of Shavuot every day and make the Torah relevant in every aspect of our lives. PreviousFifteen Facts about the Dead Sea! Tekhelet- To Wear or Not To Wear?